Make Direct Energy your Pennsylvania electric company and trusted home services provider for electricity, plumbing, electrical, and HVAC services. Amazon, Echo, Alexa and all related logos are trademarks of Amazon.com, Inc. or its affiliates. The Echo Dot is provided by Direct Energy. Amazon is not a sponsor of this energy plan offer. ©2018 Direct Energy. All rights reserved. Hey there, Pennsylvania! Ready to make an energy choice that could easily improve your life? 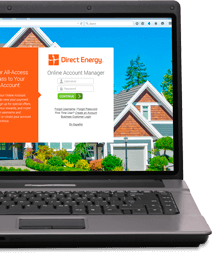 At Direct Energy, we put our years of energy expertise to good use on your behalf by creating energy plans you'll love, engaging products you'll want, and the customer service you deserve. Your utility company charges prices that shift every few months, so we developed fixed-rate plans to give you the security of a price that won't change. You have options for Pennsylvania natural gas and electricity, plans using only green energy, and plans to help you control your usage from your smartphone. Ready to get in on this "steel"? When your home's most critical systems aren't working right, the last thing you need is added stress of trying to find a trusted professional to get it fixed. Direct Energy's Home Protection Plans can remove that stress while your home's systems are still performing at their best. Choose from heating/cooling, electrical, surge, and other protection plans. Your home is your most valued investment. When it's time for maintenance or repairs, you want knowledgeable and experienced professionals. That's what makes us different from your average Pennsylvania power company, we've assembled a team of highly-trained home services experts to maintain your plumbing, wiring, climate control and more. Take your energy account to all-new heights by signing up for Online Account Manager! 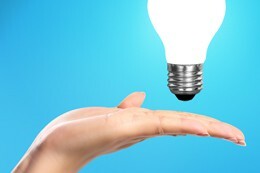 Gain access to your account information so that you can become a smarter energy consumer. Have questions about your bill? Contact us, our customer service team is sweeter than chocolate kisses! 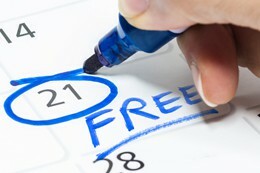 With one of our Free Power Days, you choose which day you want to have free Pennsylvania electricity - on us! Save all your heavy usage chores for your day of free power, and enjoy a fixed rate the other 6 days of the week. Now that the cold winter has blown through, it's time to get your home ready for the warmer temperatures of spring and summer. We've got you covered at the Direct Energy Learning Center with energy efficiency tips, safety recommendations, DIY help, & more!